Christina Ciccione is a New York licensed physical therapist at Professional Physical Therapy. After graduating from Rensselaer Polytechnic Institute with B.S. in Biomedical Engineering Minor: Technological Entrepreneurship and Management, Christina went on to receive her doctorate at New York University. 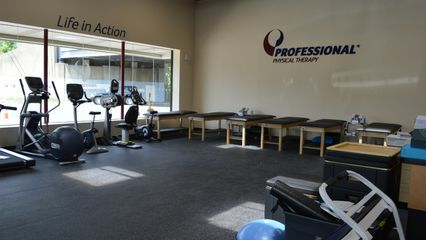 Christina has been practicing for 3 years and specializes in Instrumented Assisted Soft Tissue Mobilization, Rehabilitation of the overhead athlete, Total Joint Replacements Acute sports-related injuries, Post operative orthopedic procedures, Acute sports-related injuries, Post operative orthopedic procedures. Christina has certifications in CSCS: Certified Strength and Conditioning Specialist, Certified Smart Tools Provider in Instrument Assisted Soft Tissue Mobilization, and NASM-CES: Corrective Exercise Specialist and is also a member NSCA: National Strength and Conditioning Association and APTA: American Physical Therapy Association. Louis Wipper is a New York licensed physical therapist at Professional Physical Therapy. Louis went on to receive his physical therapy degree at the University of Buffalo. Louis has been practicing for 2 years and specializes in Post-operative shoulder, knee, ankle, spine, Athletic Rehabilitation, Gait and Balance. Louis has certifications in USA Weightlifting and is also a member APTA.